Rescuers who respond to distressed marine animals say the federal government shutdown is making it extremely difficult to do their work. Portland (Maine): A network of rescue groups in the US works with the National Oceanic and Atmospheric Administration (NOAA) to respond to marine mammals such as whales and seals when the animals are in trouble, such as when they are stranded on land or entangled in fishing gear. But the federal shutdown, which is entering its 33rd day on Wednesday, includes a shuttering of the NOAA operations the rescuers rely upon. Trump triggered a partial government shutdown on December 22 – refusing to sign off on funding everything from FBI salaries to the National Park Service – as a way of pressuring the Democratic majority in the House of Representatives to back the border wall project between US and Mexico. “NOAA plays a role in preventing accidental whale deaths by doing things like tracking the animals, operating a hotline for mariners who find distressed whales and providing permits that allow the rescue groups to respond to emergencies. Those functions have been disrupted or ground to a halt by the shutdown, and that's bad news if whales need help,” said Tony LaCasse, a spokesman for the New England Aquarium in Boston, which undertakes rescue operations. "If it gets prolonged, then it would become problematic to respond to animals that are in the water," LaCasse said. "And to be able to have a better handle on what is really going on." 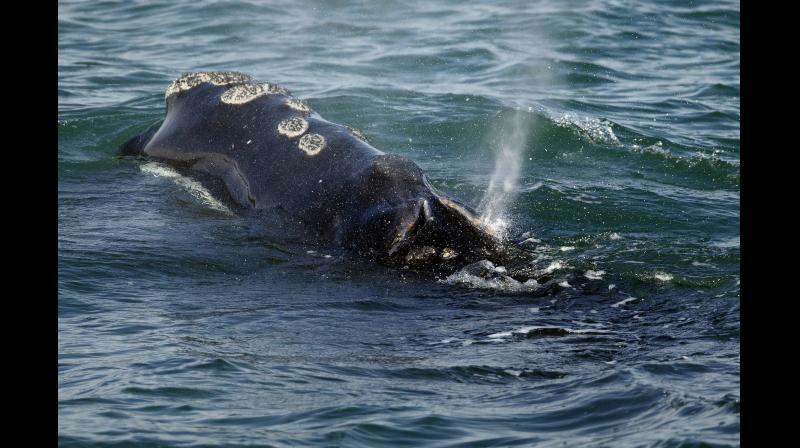 “The shutdown is coming at a particularly dangerous time for the endangered North Atlantic right whale, which numbers only about 411,” said Regina Asmutis-Silvia, a senior biologist with Whale and Dolphin Conservation of Plymouth, Massachusetts. The whales are under tight scrutiny right now because of recent years of high mortality and poor reproduction. "There's a really significant impact on marine mammal conservation based on this shutdown," Asmutis-Silvia said. "We have little to no ability to find them because of NOAA's being furloughed," she added.